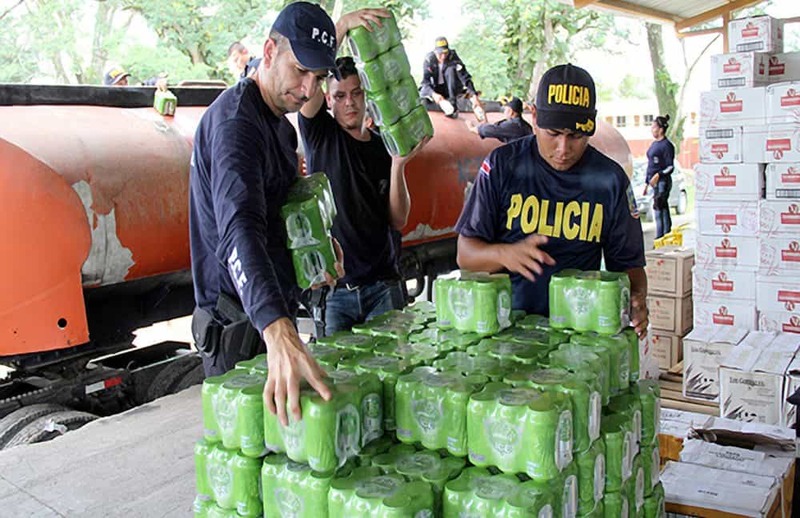 Costa Rican police in the community of Paso Canoas, on the Panama border, seized a shipment of liquor with an approximate value of ₡20 million (some $38,000) on Thursday. They found the liquor hidden inside a tanker truck. The cargo contained 859 boxes of beer, totaling 20,584 cans and 4,269 bottles of various types of liquor, according to the National Police. 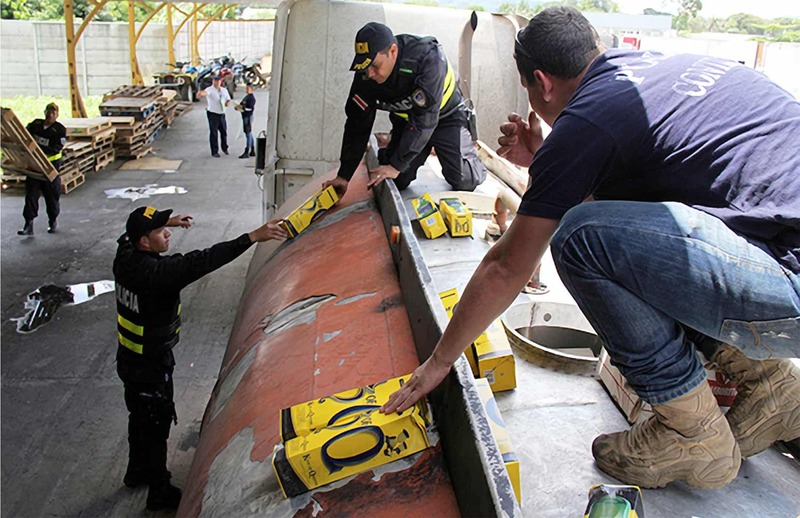 Local Police Chief José Domingo Cruz said officers detained the truck following a confidential tip about the illegal shipment, which entered the country without taxes being paid on the alcohol. Cruz then coordinated a joint operation with the Fiscal Control Police that allowed them to detain the tanker and arrest the driver, a Nicaraguan man with the last name Sevilla. When arrested, Sevilla presented officers with fake documents stating a different type of cargo was in the tanker, according to police reports. Sevilla was sent to the local Prosecutor’s Office, where a background verification showed that the man has been living in Costa Rica with an irregular immigration status since 2012.